Help us teach youth that their lives matter. Superheroes of the world, we really need your help. 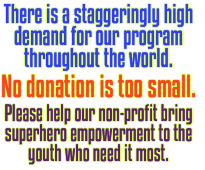 We are a small non-profit and there are hundreds of schools on the waiting list for our program in low-income communities who desperately need a boost of superhero empowerment. When students feel valued, they feel inspired to add value. 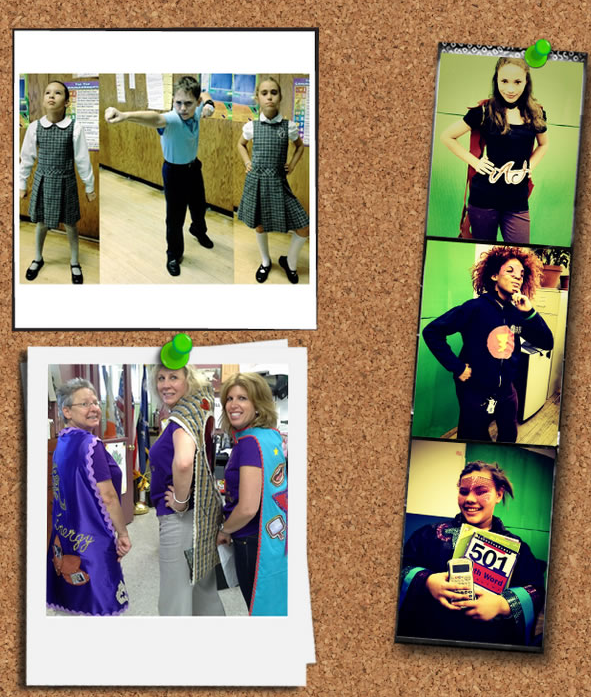 Help us inspire young leaders, change makers, innovators, activists… and just nicer, happier people. Please donate today.